Have you seen the meme going around social media with cat selfies? We just had to give equal opportunity to the dogs. 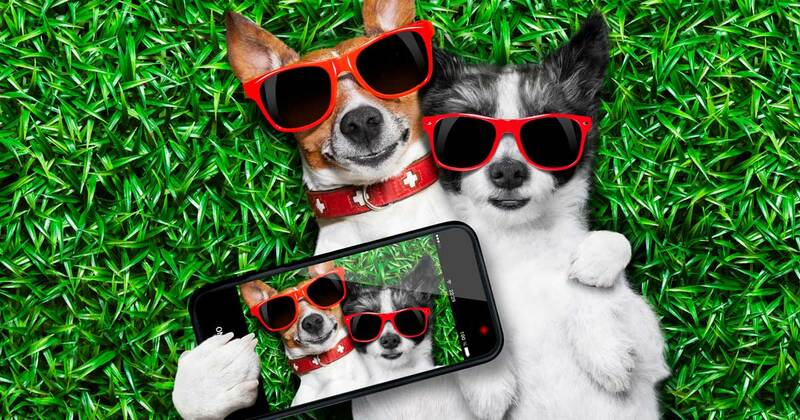 Check out the official PAWedu meme of dog selfies! It's a collection of nine funny furfaces. Enjoy and share it with your friends! Do you have any funny "selfie" photos of your furface? You can make a difference and help save countless animals from suffering and death. First-time animal cruelty offenders must be re-educated, and learn how to care for and be more humane to animals. We request you enact a mandate that first-time animal cruelty offenders enroll in an online course, such as the Promote Animal Welfare Education course, in order to become more aware of proper animal treatment and help prevent further cases of animal abuse. Many times these conditions lead to the slow, painful death of the animal. More than 19,000 cases of animal abuse have been reported in the U.S. since 1980, according to Pet-Abuse.com, a comprehensive online database of animal cruelty cases founded in 2001. In many instances, the abusers are repeat offenders. Animal cruelty is serious, tragic, and often preventable. 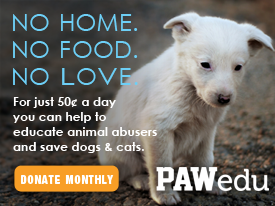 Please help us re-educate first-time animal cruelty offenders in your state now. Ami E. Gordon, Esq. & Peter E. Gollub, DVM, Esq. Keep me updated on the progress. This entire website copyrighted: U.S. Copyright Registration Number TXU1-886-674. No reproduction of the content on this website is allowed without permission from PAWedu.